Sam Taggart wins Best TA award for 2016! 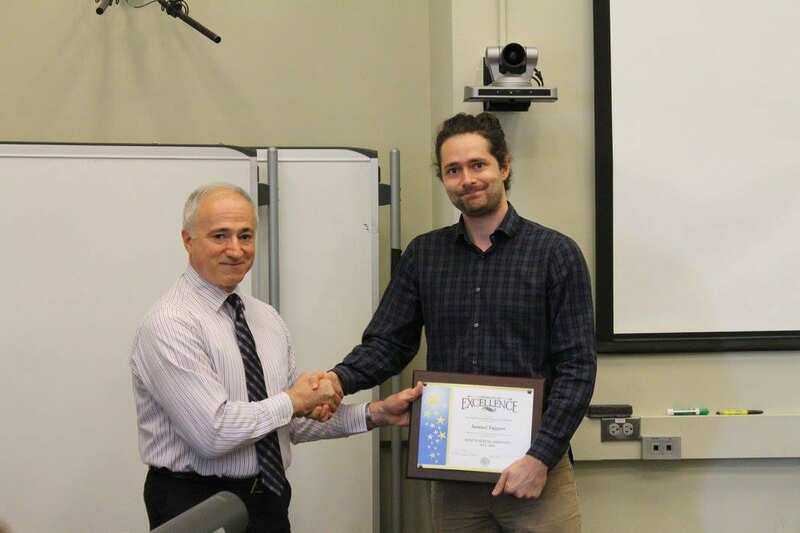 Sam Taggart won the 2016 Northwestern EECS Best TA award for his work TAing EECS 336: Design and Analysis of Algorithms this Fall. The class tripped in size over the last couple years and Sam taught all 150 students in six discussion sessions. Even with this overwhelming workload he received incredibly high scores on the teaching evaluations with rave comments. Great work Sam! !